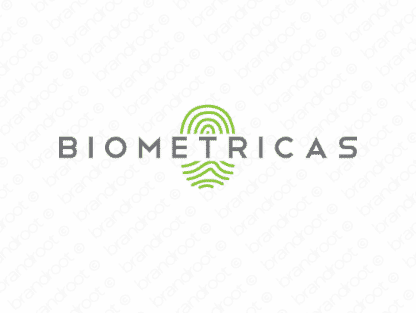 Brand biometricas is for sale on Brandroot.com! This distinctive brand is a snappy play on the word "biometrics". Biometricas has an assertive and commanding persona, perfect for security companies that lead the way in biometric technologies and services. You will have full ownership and rights to Biometricas.com. One of our professional Brandroot representatives will contact you and walk you through the entire transfer process.